Are you struggling with your data management and translation? At Global eCommerce Technologies, we understand that having a quality data translator can be vital to operations. Being able to alter formats upon request of a trading partner becomes a necessity. If your organization wishes to become independent from vendor assistance, Global eCommerce can help. Our EDI (Electronic Data Interchange) mapping services provide the latest in data translation solutions for clients seeking only the most efficient and cost-effective results. Our vast range of experience in the most common translation software systems includes Gentran, Harbinger or GXS. We offer “any to any” mapping capabilities and we specialize in both ANSI and EDIFACT standards for a variety of industries. We are able to give EDI mapping service the personal touch with on-site availability to ensure that clients are in person supported throughout the process. We are also available for off-site work for a reduction in mapping rates. 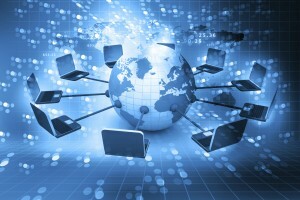 Global eCommerce Technologies offers discounted rate to do project work remotely. Initially, the EDI mappers will work closely with your team and your trading partners at your site and can then complete the remainder of the work off-site. Upon completion, we deliver the final map to you once it has been thoroughly tested and approved by you. Contact us today to learn more about how our EDI mapping process can save organizations much needed resources in the short and long term. Do you have questions about our EDI mapping services? Contact us via our web form or by calling 786-571-6763 today.